Lucie Safarova said her "Bucie" team with Bethanie Mattek-Sands would return to the sport at Wimbledon following a break due to a string of injuries and illnesses. 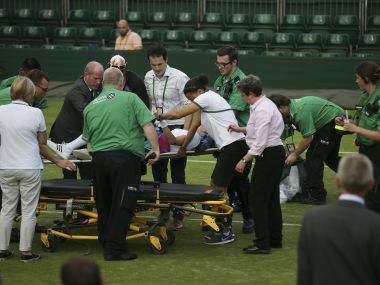 It was a far different scene the last time Mattek-Sands was in action when she was carried off court on a stretcher screaming in pain after suffering an horrific knee injury during last year’s Wimbledon. Ekaterina Makarova and Elena Vesnina have now won three of the grand slam events in doubles following their triumph at the French Open in 2013 and the US Open a year later. 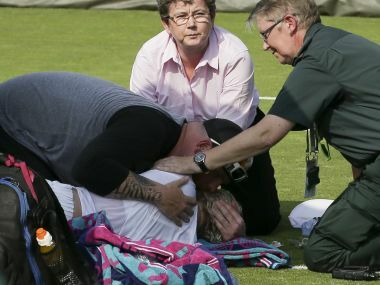 Bethanie Mattek-Sands collapsed to the court after her knee buckled in her second round match against Sorana Cirstea on Thursday. 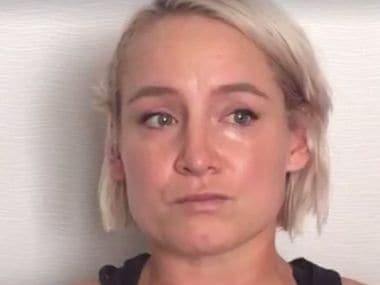 Bethanie Mattek-Sands is being treated in a nearby private hospital where she was taken on Thursday after her knee appeared to buckle as she approached the net in her second round clash with Sorana Cirstea on Court 17. World No 1 Murray said the Wimbledon courts were not in as good a condition as they have been in the past. 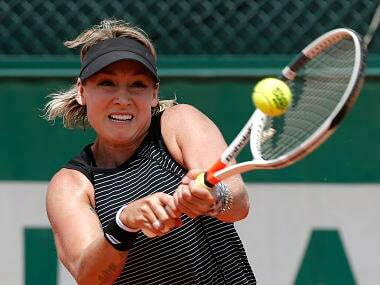 Bethanie Mattek-Sands was being treated in a nearby private hospital where she was taken on Thursday after her knee appeared to buckle as she approached the net in her second round clash with Sorana Cirstea on Court 17.